Fifteen-term House veteran Marcy Kaptur has defeated seven-term incumbent Dennis Kucinich in Tuesday’s primary for Ohio’s 9th congressional district. Rep. Kucinich previously represented OH-10, but was forced to compete with Kaptur when Ohio lost two seats in the last census. Republicans in the Ohio State House (with the blessing of US House Speaker–and OH-8 Representative–John Boehner) merged two Democratic strongholds into a new 9th district that included parts of Kucinich’s Cleveland base, but was dominated by Kaptur’s old Toledo constituency. With nine-tenths of precincts reporting, Kaptur leads Kucinich, 60 to 39 percent. Kucinich, who for many years voted with opponents of reproductive rights, switched his position before the 2004 presidential election and ran this year as the more socially liberal contender. Kaptur, the longest-serving woman in the House and a champion of many feminist causes, was ranked as “mixed choice” by NARAL Pro-Choice America. Kucinich was also a stronger critic of America’s military follies, and pointed out that Kaptur, the Democrats’ number two on the powerful Appropriations Committee, should have pushed harder for cuts in defense spending. [In November 2011] a fire at Ohio’s crippled Davis-Besse facility cut ventilation to the reactor control room. 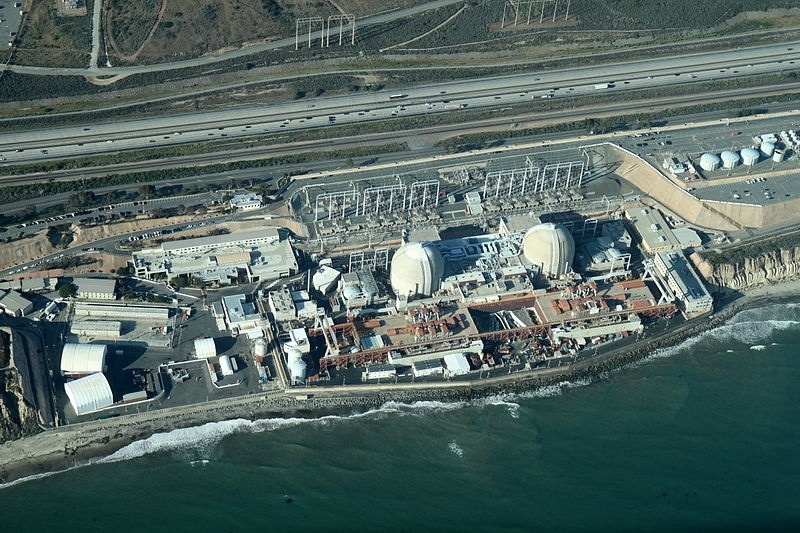 A faulty valve in a pipe sending water to the reactor core leaked on an electrical switchbox, triggering an electrical arc, which started the fire. This could have been a potentially catastrophic emergency. . . had the reactor not been shut down seven weeks earlier to replace an already once previously replaced, corroded, 82-ton reactor lid. This “transplant operation” revealed a 30-foot crack in the concrete shield building that will require a separate repair program. . . .
That repair program is still nowhere near completion. And all of this was on top of acid leaks years earlier that caused some of the worst corrosion ever seen at a US reactor–a lapse that cost plant operator FirstEnergy some $33 million in government fines and civil penalties. But with all that on the table, the Nuclear Regulatory Commission still gave its thumbs-up to a reactor restart in December. Then, one day after the OK, FirstEnergy admitted it had withheld news of new cracks discovered on a different part of Davis-Besse a month earlier. But FirstEnergy said it had only hidden that information from the public–the NRC had been clued in. So, the nuclear regulator knew of the latest problems and still gave the go-ahead to a restart. And the reason we know all of this is because of Rep. Dennis Kucinich. An ardent critic of Davis-Besse for years, Kucinich called for a public meeting with the NRC and FirstEnergy before the new Ohio district lines were announced. And it was at this meeting in early January where some of the latest news was revealed–along with the contrasting positions of Kucinich and Kaptur. Again, as noted in January, the jobs claim made little sense, and the idea that a light water reactor from the 1970s represents living in the 21st Century makes even less. Kaptur’s concern for public safety is a hard match for a facility that has been the site of two of the five most dangerous US nuclear events since 1979. [N]uclear power–with its construction costs, costs of operation, costs of fuel mining and refining, costs of spent fuel storage, accident clean-ups, tax breaks, rate subsidies and federal loan guarantees–is one of the most phenomenally uneconomical ways of producing electricity ever conceived. 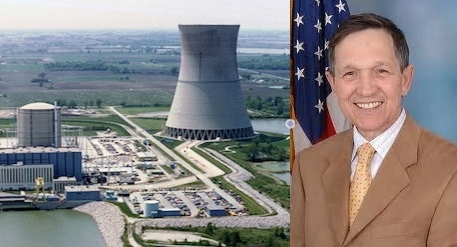 Davis-Besse, in fact, is one of best examples of the cracks inherent in the US nuclear regulatory system, and we know this to a large part thanks to steady pressure applied by Ohio’s own Dennis Kucinich. Next January, Kucinich will no longer be a member of Congress, and the House will lose one of its most vocal critics of this country’s dangerous and dirty nuclear boondoggle. If past is prologue, Kaptur cannot be expected to pick up her departing colleague’s fight, so when the next accident happens at Ohio’s Davis-Besse plant–and it is almost certain there will be a next accident–Kaptur will be partly responsible. But it would be unfair to hand her all the blame–she is, after all, a formidable Democrat in her own right, and she was just fighting to keep her seat. That Ohio is losing two congressional seats is due to population shifts, but that the GOP was in charge of drawing up Ohio’s new districts, that they control the state legislature and the governorship–not to mention the US House of Representatives–that blame can be shared by Kaptur’s colleagues in the Democratic leadership, as well as the Obama administration, for it was the White House and congressional leaders that squandered the mandate of 2008 and created the space for the Republican resurgence in 2010. This is not the place for a lengthy analysis of the rise of the Tea-O-P, but it is interesting to note that one issue where Kaptur has made a name for herself is in speaking out against the bank bailouts. 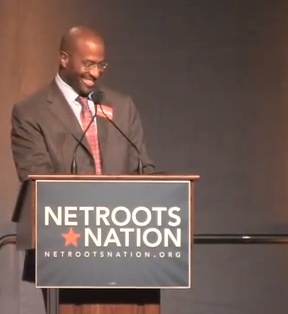 And, in opposing Wall Street and the banksters, the 29-year House vet sounded markedly different than President Barack Obama or even then-Speaker Nancy Pelosi did during the 111th Congress. If Obama and Democratic leaders had chosen to sound an emotional chord more like Kaptur’s, one has to wonder if the losses in Congress and in state houses across the country would have been nearly as dramatic–and so one has to wonder where redistricting would be with more Democrats in control. And, it is perhaps more ironic than emblematic, but it still deserves mention: Kaptur’s Republican opponent in November will be none other than pantomime populist Samuel “Joe the Plumber” Wurzelbacher, hero of the tea-stained right. With the recently announced retirement by Rep. Norm Dicks (WA-6), Kaptur could take the gavel at Appropriations, should the Democrats retake the House. Even if she is just Ranking Member, her status and power will rise. She can wield that power in many ways–and some might even be good–but it is doubtful she will give nuclear oversight even a fraction of the attention exhibited by the man she beat Tuesday night. Nuclear industry acolytes might be applauding the end of the electoral career of a persistent critic, but atoms aren’t Tinkerbelle; no one can clap loud enough to make nuclear power’s numerous problems go away. Kaptur’s defeat of Dennis Kucinich might seem like Big Nuclear’s win–and maybe in the short-term it is–but without more vocal and visible watchdogs like the Ohio Representative, everyone loses in the end. Everyone.